When Matt England graduated with an aerospace engineering degree in December 2011, he was all set to start his life in the Midwest. After all, he had good job offers from both Caterpillar and John Deere. But then the Boeing Company “came in at the last second” and gave Matt an opportunity he couldn’t refuse: a chance to move to Seattle, Wash., to work as a flight test engineer. 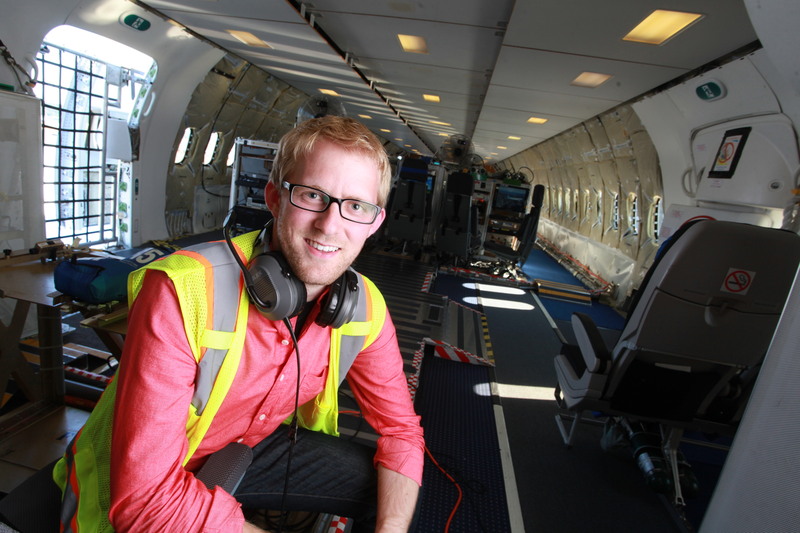 Matt does have a desk in a Boeing facility, but when he’s flying, his “office” is a workstation in the 787. Test flights might be as short as half an hour or they could take all day, and Matt is typically part of a 10- to 15-person crew. He’s flown all over the western United States and to Alaska, Hawaii, Puerto Rico, and beyond. “The coolest thing about being involved in flight test is flying on a brand-new aircraft and getting to experience the future of aviation first-hand,” Matt says. Matt’s girlfriend, Amy Schwager (’12 graphic design), is a graphic designer in Seattle. Both grew up in small-town eastern Iowa and are embracing the Seattle culture. Matt is president of the ISUAA Club of Seattle, and both are active with ISU alumni events.